*No ads, no banners, no in-app purchases and no nagging to upgrade. 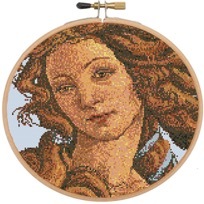 Cross Stitch Markup is a totally free alternative to printing out pages of paper for your stitching, or working from a fiddly PDF file on screen. 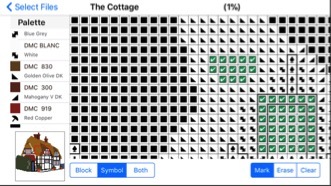 You can open your .CHART files directly on the iPad or iPhone (bigger screens are obviously best), and work directly from there .. on the move, in your armchair, in bed.. you name it! 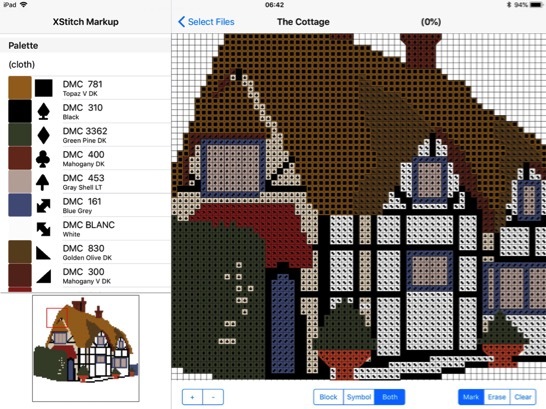 Cross Stitch Markup uses files you drop into the shared Files area in iTunes. Choose the one you want to work on, view it at any zoom size you like, in color, symbols, or both. Scroll and zoom using two fingers. Add or remove markup as you go, and the screen will keep you updated with how far you’ve progressed. if you create charts and sell these via Easy or your own site, you will be used to supplying paper or PDF documents. Your user then gets a chart that is fixed - they can’t change the view style or the size to make it easier to see. NOW you can let them have the Chart file itself - (and it can be set to readonly which will prevent copying and amending) . Just email the chart and a link to the free markup app and they will be good to go. Even better: if you can supply in this format, we will advertise your site inside the app FOR FREE to all the people who download a copy. Just let us know who you are!